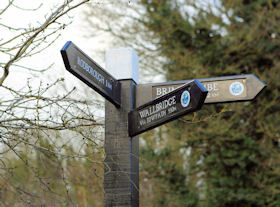 Locally designed and produced Towpath Direction Signs and Interpretation Panels have been installed along the Stroudwater Navigation and Thames and Severn Canal through Stroud. 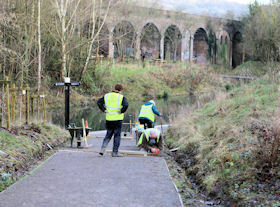 Three towpath sign posts constructed by the Cotswold Canals Trust Western Depot woodworking team Ray Talbot and Will Foster have been installed at Capels Mill by the Stroud District Council 'Tuesday Volunteers Team' led by Paul Weller. The black & white paint scheme on the eight foot high posts is synonymous with lock gate balance beams. The wooden direction arms have a rebated area into which separate plates bearing place names & distances have been inserted. The printed plates include way markers for the Thames and Severn Way. The font, a bespoke design produced by Steve Roberts at Footprint Interpretation Design, replicates the lettering used on the original eighteenth century Thames & Severn Canal milestone plates. Footprint Interpretation Design is a member of the Stroud Design Cooperative. “The inspiration is to see the canal corridor providing a main route for people and wildlife alike. The illustrations are aimed at all ages and reflect historic and cultural aspects of the area as well as the wildlife". 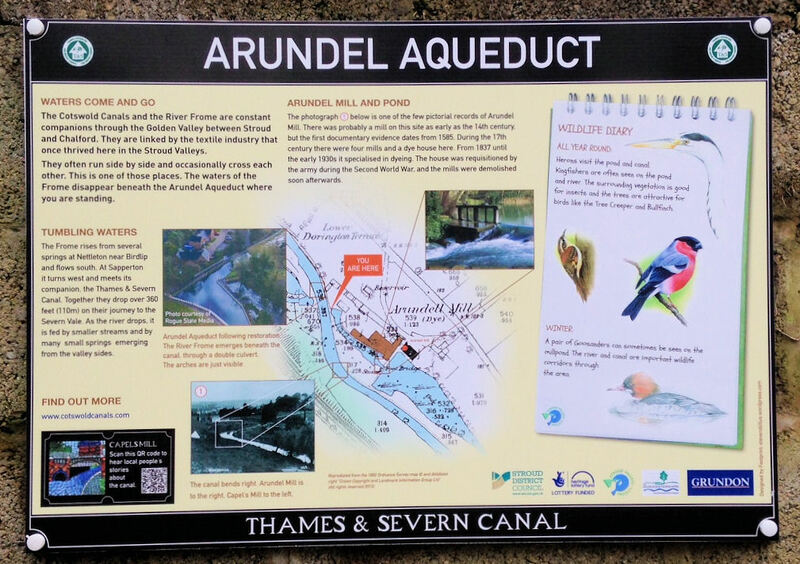 “The direction signs and Steves wonderful illustrations certainly reveal the wildlife and the industrial and cultural heritage of the canal corridor. 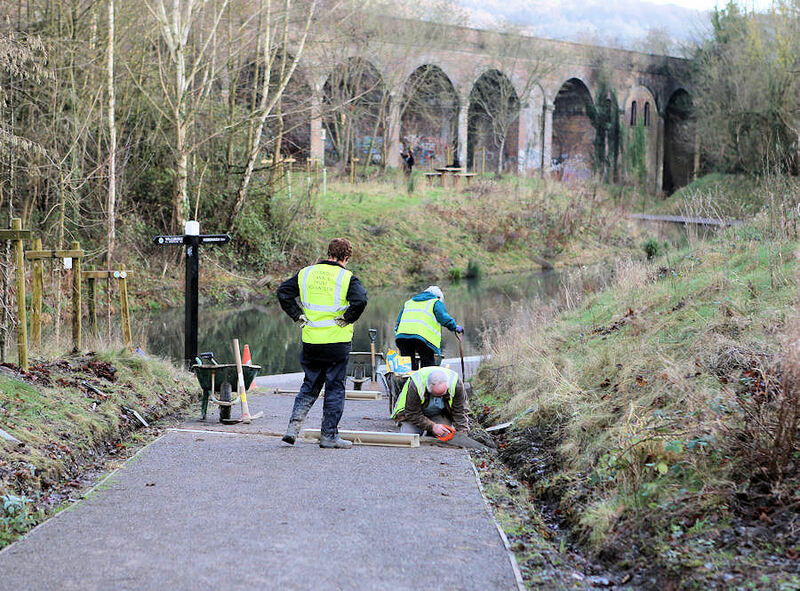 We believe this element of the canal restoration programme will interest and benefit local people and visitors to the area"